The Cutting Board is special and has a slightly concave design, which may seem like a minor detail, but it makes all the difference. Catering to the shape of your slices, and allowing all the juices to funnel to the center which that pools the liquid from the juiciest meats, like our deep fried turkey. The patented GripperTM feet allow for safer non-slip use while chopping ingredients. The patented GripperTM feet use heat expansion technology eliminating the need for unreliable adhesives, nails or glue. 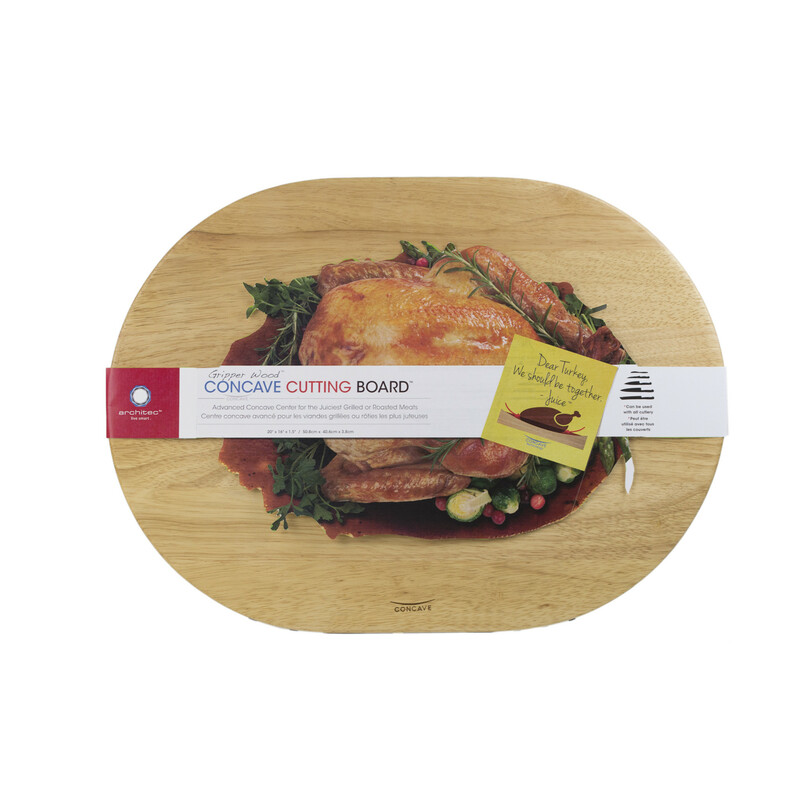 The cutting board can be used with all types of cutlery. The cutting board is 14" x 18". Wash with mild soap and warm water. Material: Wood, Wood Finish: Beech, Features: concave surface, Care and Cleaning: Air dry, Hand Wash Only, Wipe Clean.